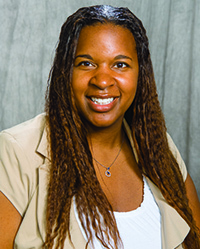 APPLETON, Wis. — Christyn Abaray is the new Lawrence University Director of Athletics, President Mark Burstein announced today. APPLETON, Wis. — Lawrence University had 165 student-athletes earn Academic All-Midwest Conference honors for 2013-14. To be eligible for selection, a student-athlete must have a minimum grade point average of 3.3 during the academic year. The women’s swimming and diving team led Lawrence with 16 student-athletes honored. Lawrence had five other teams that had double-digit selections — women’s outdoor track and field, women’s cross country, women’s indoor track and field, women’s soccer and men’s soccer. The women’s outdoor track and field team was next with 15 student-athletes honored. Women’s cross country had 13 of its 16 team members chosen, and women’s indoor track and field had 13 selections. Women’s soccer had 10 selections, and women’s tennis saw nine of its 11 student-athletes chosen. Lawrence’s top men’s team was soccer, which had 10 selections. Men’s golf had seven of its 11 student-athletes chosen. Lawrence had 64 student-athletes chosen from the fall season, 57 from the winter season and 44 from the spring season. APPLETON, Wis. — Five former Lawrence University athletic stars are set to be inducted into the school’s Intercollegiate Athletic Hall of Fame next month. Hans Hartwig ’35, John Bill ’79, Dan Dreyfus ’87, Maggie Phillips Reeve ’96 and Mark Smrecek ’00 will be inducted in a ceremony at the Warch Campus Center on Oct. 4 and be honored at halftime of the Hall of Fame football game vs. Illinois College the following afternoon. In the era of ironman football, Hans Hartwig was one of the finest players of the 1930s for Lawrence University. A native of Wauwatosa, Wis., Hartwig starred in the offensive backfield and linebacker during his career for Vikings. He played three seasons of football (freshmen couldn’t play on the varsity then) for head coach Percy O. Clapp. Playing in the single-wing offense, Hartwig started at three positions in the backfield during his career. He starred at halfback, fullback and quarterback as a multiple threat with his ability to both run and throw the football. Hartwig earned all-conference honors as both a junior and senior. In the days before the Midwest Conference selected a team, Hartwig was named to the All-Big Three team in 1933 and was selected for the All-Big Four team in 1934. Led by Hartwig and fellow Lawrence Hall of Famer George Walter ’36, Lawrence won the mythical Wisconsin collegiate championship by defeating Carroll, Ripon and Beloit in 1934. A proverbial big man on campus, Hartwig also was a campus champion in both boxing and wrestling. Hartwig, who earned a degree in chemistry, remained in the Fox Valley after his graduation from Lawrence. He went on to found Crystal Print, Inc., which continues to operate in nearby Little Chute. Hartwig and his wife, Joan, had two children, Chris and Tina. Hartwig passed away in May 1976, and his wife died in 1995. John Bill was the ace of the pitching staff of the best baseball teams in Lawrence University history. Led by Bill’s powerful right arm, the Vikings won two Midwest Conference championships and made the only two NCAA Division III regional appearances in Lawrence baseball history. A native of Kenosha, Wis., Bill put together a career record of 23-12, and he continues to be Lawrence’s career wins leader more than 30 years after his graduation. A two-time All-Midwest Conference selection, Bill was honored by the league in 1978 and 1979. Bill threw a school-record 235.2 innings and set the school career record with 151 strikeouts. He also tossed a school-record 25 complete games, which included two shutouts. Bill also threw a school-record six three-hit games and compiled a 4.32 earned run average. Bill went 21-8 over his final three seasons after going 4-4 as a freshman. He holds the school season record for wins with his 8-2 record in 1978 and his 7-3 mark in 1979 ranks second. He threw a school-record eight complete games in 1979 on his way to a school-record 70.1 innings pitched. A two-year team captain, Bill also played in the outfield and served as the team’s designated hitter when he wasn’t on the mound. He enjoyed his best season at the plate in 1978 when he led the team with a .350 batting average. Bill, who earned a degree in economics at Lawrence, was a first-team Academic All-American in 1979. Bill also played one season of football in 1975 and was the team’s starting punter on a conference championship squad. Bill and his wife, Teri, own Manchester Investments and live in Greendale, Wis. The Bills have two adult children, Jacob and Sara. Dan Dreyfus made stopping the opposition an art form and became the most prolific goalkeeper in Lawrence University history. Dreyfus holds virtually every Lawrence goalkeeping record and was a key player when the Vikings won the 1985 Midwest Conference championship. A native of Bogota, Colombia, Dreyfus played his high school soccer in Tallahassee, Fla. Dreyfus earned all-conference honors in 1985 as Lawrence defeated Knox College 3-0 for the league championship. Dreyfus set school and conference season records in 1985 with eight shutouts, a 0.45 goals against average and a .921 save percentage. The save percentage mark still stands as the conference record. During his three years as the starter in net (1984-86), Lawrence put together a 25-10-1 record. The Vikings finished first (1985), second (1984) and third (1986) in the conference during those seasons. A team captain and team Most Valuable Player during his career, Dreyfus set the school and conference career records with 18 shutouts, a 1.07 goals against average and an .839 save percentage. The save percentage record still stands as the conference mark. Dreyfus works at Accenture in Arlington, Va. Dreyfus and his wife, Laura, live in Fairfax, Va., and have a son, Bryan. Maggie Phillips stepped to the top of the podium at the Midwest Conference Championships 12 times during her swimming career at Lawrence University. A native of Shorewood, Wis., Phillips won five individual conference championships and was part of seven winning relay teams, and she did it all in just three seasons. Part of a 3/2 nursing program, Phillips competed for only three years and was part of the group that elevated the Lawrence women’s swim team to consistently be one of the top-three squads in the conference. Phillips set five individual school records and was part of multiple relay teams to set school records. Phillips continues to hold the 400-yard individual medley record and is part of the team that holds the mark in the 400 freestyle relay. Phillips started her career with a flash of brilliance at the 1993 MWC Championships. She won individual titles in the 100 freestyle, 200 freestyle and 400 IM and was part of the winning 200 freestyle and 400 medley relay teams. Phillips came back in 1994 to win the conference championship in the 500 freestyle and swim on the winning 200 freestyle and 400 freestyle relay teams. She then won the 200 IM at the 1995 MWC Championships and was part of the winning 200 freestyle, 400 freestyle and 800 freestyle relay teams. Phillips also was a 10-time champion at the Wisconsin Private College Championships, and the Vikings won the team title in all three seasons in which she competed (1993, 1994, 1995). Phillips works as a nurse at UW Hospital. She and her husband, Jamie Reeve ’95, live in Shorewood and have three children, Olivia, Max and Lily. Mark Smrecek was the rock of the offensive line during his four seasons with the Lawrence football team. An Appleton native, Smrecek was a two-time USA Football All-American and a four-time All-Midwest Conference selection. A stalwart at guard and tackle, it is believed the Smrecek played every offensive snap from scrimmage, including a few at fullback during his four years at Lawrence. Smrecek also was pressed into action on defense in his final two seasons and would play several series on the defensive line in each game. An Appleton native, Smrecek also was a standout thrower on Lawrence’s track and field team. Smrecek is one of just six Lawrence football players to be a four-time all-conference selection. He was a first-team selection in 1997, 1998 and 1999 and made the second team in 2000. A football team captain, Smrecek also received honorable mention on the USA Football All-America team in 1999 and 2000. Smrecek also competed for three years in track and field and was consistently one of the conference’s best throwers. Smrecek, who set the school record in the weight throw, placed in the weight throw and shot put at the conference’s indoor championships in 2000. He also placed in the shot put at the league’s outdoor championships in 1998, 1999 and 2000. Smrecek works as a consulting actuary at Towers Watson. 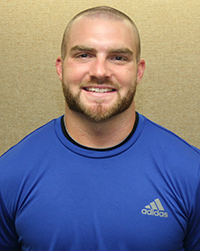 He and his wife, Lela, have two children, Rosemary and Hazel, and live in Deerfield, Ill.
APPLETON, Wis. — More than 100 Lawrence University student-athletes have been chosen for the Academic All-Midwest Conference team. Lawrence had 133 student-athletes earn the academic all-conference honor, which is given after having a grade point average of 3.33 during that academic year. The Lawrence women’s swimming and diving team had the largest numbers of honorees with 12. Women’s tennis and women’s indoor track both had 11 and volleyball and women’s outdoor track both had 10. APPLETON, Wis. — Nine Lawrence University student-athletes were recently honored at the 2013 Honors Celebration. The Ruth Bateman Award is given for excellence in scholarship, athletic ability and leadership by a female athlete. Senior Rose Tepper (Mount Vernon, Iowa/Mount Vernon) was honored after an outstanding career in track and field. A five-time all-conference honoree in the high jump, Tepper was 2010 Midwest Conference outdoor champion. Tepper, who holds the Lawrence record indoors in the high jump, was a qualifier for the 2011 NCAA Division III Championships. The Iden Charles Champion Cup is given for excellence in scholarship, athletic ability, college spirit and loyalty. Senior Tyler Mazur (Reedsburg, Wis./Reedsburg) completed an outstanding football career at Lawrence and remains a key contributor to the men’s basketball squad. Mazur finished his football career ranked fourth in receiving yards (2,253), fifth in catches (130), fifth in touchdown catches (25), fourth in total touchdowns (37) and fifth in points (224). Mazur also was a key member of the men’s basketball team and broke the school record by making nine 3-pointers in a game this past season. The Outstanding Freshman Athletic Award for Men is given the freshman man who has made the most outstanding contribution to Lawrence athletics. Brandon Boelter (Saginaw, Mich./Heritage) earned the award after an outstanding rookie season with the Lawrence hockey team. Boelter was a first-team All-Midwest Collegiate Hockey Association selection and was named to the All-MCHA Freshmen Team. Boelter led all defensemen in the conference in scoring with six goals and 15 assists for 21 points. The Outstanding Freshman Athletic Award for Women is given to the freshman woman who has made the most outstanding contribution to Lawrence athletics. Hayley Cardinal (Lombard, Ill./Glenbard East) won the award after a big impact on the swimming and track and field teams. Cardinal broke the Lawrence records in the 100-yard breaststroke and 200 breaststroke and placed second and third, respectively, in those events at the Midwest Conference Championships. Cardinal also was part of two record-setting relay teams. Cardinal also won a letter in track and field. The Ralph V. Landis Award was established by the Lettermen of Lawrence in honor of Dr. Landis, physician to Lawrence students from 1926-78, and is awarded for outstanding contributions to Lawrence athletics by a senior male athlete. Senior hockey player Brad Scurfield (Midland, Mich./Midland) was an All-Midwest Collegiate Hockey Association selection and was the team’s Most Valuable Player each of the past two seasons. Scurfield finished his career ranked in the top eight in school history in points, goals, assists and power-play goals. The Charles E. Pond Award for Men is given for all-around athletic ability by a senior man in two or more sports and for sportsmanship, school spirit and scholarship. Sam Stevens (Suamico, Wis./Bay Port) was a four-time Midwest Conference champion in track and field was a 15-time All-Midwest Conference performer. The 2011 Midwest Conference cross country champion, Stevens led the Vikings to the team title. Stevens, who holds Lawrence track records in the mile, 3,000 meters and distance medley relay, was a four-time all-conference honoree in cross country. The Charles E. Pond Award for Women is given for all-around athletic ability by a senior woman in two or more sports and for sportsmanship, school spirit, and scholarship. Cathy Kaye (Sturgeon Bay, Wis./Sevastopol) was a four-year starter in both softball and basketball and also earned a letter in cross country. Kaye was a three-time All-Midwest Conference softball selection and also earned All-Great Lakes Region honors. The team’s center fielder, Kaye also served as team captain. The Marion Read Award is given for outstanding contributions to Lawrence athletics. Shannon Murray (Lawrenceville, Ga./Dacula) earned the award for the second consecutive year. A four-year starter in softball, Murray was named to the All-Midwest Conference honors for the last two seasons and was the 2013 North Division Pitcher of the Year. A team captain, Murray also was a two-time All-Great Lakes Region softball selection. Murray also served as a student athletic trainer for both women’s tennis and basketball. Rose Tepper (Mount Vernon, Iowa/Mount Vernon), indoor and outdoor track and field. LA CROSSE, Wis. — Rose Tepper and Amanda Dwyer were Lawrence University’s top finishers at the UW-La Crosse Qualifier at Memorial Stadium on Thursday. Tepper took seventh in the high jump with a leap of 5 feet, 2.25 inches. Dwyer was ninth in the 5,000 meters with a time of 20:50.90. BELOIT, Wis. — Sam Stevens won the title in the 3,000-meter steeplechase to lead the Lawrence University track teams at the Midwest Conference Championships on Saturday at Strong Stadium. Stevens won the title with a time of 9:34.42 to beat Carroll University’s Dakota Pruitt by nearly three seconds. Teammate Cameron Davies raced to a fourth-place finish in 9:47.58. Stevens also grabbed a third-place finish in the 5,000 on Saturday with a time of 1:34.64. Stevens wasn’t able to defend his championship in the 1,500 meters on Friday and took fifth place in 4:00.64. Teammate Dan Thoresen was sixth in 4:03.42. The Lawrence men finished seventh with 54 points, and Monmouth College won the title with 201. The Lawrence women also placed seventh with 39 points, and the Scots also won that team title with 244.5 points. The other top finisher on the men’s side was freshman JP Ranumas, who grabbed second in the 110 hurdles in 15.49 seconds. Karston Anderson of Monmouth edged Ranumas by .18 seconds for the title. Lawrence had two throwers place in the top five in the discus. Spencer Swick grabbed third with a throw of 142-4, and Nick Craker was fifth with a toss of 137-4. Others placing on the men’s side were: freshman Ben Bard in the 400 hurdles (sixth, 1:00.38), sophomore Kyle Dockery in the 10,000 (sixth, 33:29.10), Tyler Herman in the 400 (eighth, 51.67) and the 1,600 relay team (eighth, 3:34.51). Rose Tepper took second place in the high jump to pace the Lawrence women on Friday. Tepper, a former conference champion in the high jump, was the runner-up with a jump of 5 feet, 5 inches. Monmouth College’s Emily Tysma won the event with a jump of 5-7.25. Freshmen Sofie Yang placed in three events, taking fourth in the pole vault with a height of 10-0.75, sixth in the 400 hurdles in 1:08.88 and sixth in the 100 hurdles in 16.46 seconds. Anna Bolgrien wasn’t able to defend her title in the 400 hurdles and took fourth in 1:06.12. She also grabbed seventh in the 100 hurdles in 16:52. Also placing for the Vikings were the 400 relay (fifth, 51.40), the 1,600 relay (fifth, 4:14.26), Liza Girsova in the 100 meters (seventh, 13.03) and Genna Matt in the hammer throw (eighth, 121-7.25). BELOIT, Wis. — Rose Tepper took second place in the high jump to pace the Lawrence University track team on Friday’s opening day of the Midwest Conference Championships at Strong Stadium. Tepper, a former conference champion in the high jump, took second with a jump of 5 feet, 5 inches. Monmouth College’s Emily Tysma won the event with a jump of 5-7.25. Freshmen Sofie Yang and Genna Matt also placed for the Vikings on Friday. Yang grabbed fourth place in the pole vault with a height of 10-0.75, and Matt was eighth in the hammer throw with a toss of 121-7.25. The Lawrence women are in eighth place with 14 points. On the men’s side, senior Sam Stevens wasn’t able to defend his championship in the 1,500 meters. Stevens took fifth place in 4:00.64, and teammate Dan Thoresen was sixth in 4:03.42. Sophomore Kyle Dockery took sixth place in the 10,000 with a time of 33:29.10. The Lawrence men are in eighth place with 10 points.